Songs about broken things and poignant little ponderings are delivered with a rootsy vibe, a touch of twang and a soulful groove. Annie and Rod are on a musical journey that began in 1982, culminating into a symbiotic sound that reflects their deep and intuitive understanding of each other. Annie’s disarming, earthy voice and solid command of her guitar are punctuated by Rod’s effortless, accompaniment and beautiful solo work. Together they weave unforgettable melodies that are at once intricate and sparse – musically completing each others’ sentences. Searching for Neverland is The Capps’ long anticipated follow up to their acclaimed Folk DJ chart-topping 2009 release, My Blue Garden. They took their time writing this album and it delivers songs that have been road-tested, finely crafted and meticulously arranged over the past 6 years. By design this album is stylistically diverse, yet the songs work together as a collection of whimsical and smart, reflections and stories. Musically, it retains the familiar Capps sound that meets at the intersection of Americana & Folk with rock, jazz and bluegrass influences. “Take Me To The Fair” was released in 2011 as a limited edition EP and features their illustrious trio-mate Jason Dennie on mandolin and vocals. Annie and Rod were itching to return to the studio and record a handful of their newly penned songs like “Pocket Full of Words”, “Take Me To The Fair” and “Pretty Memories”. They also included an instrumental interpretation of and old fiddle tune called “Whiskey Before Breakfast” and redux versions of “In this Town” and “The Ring”. The trio spent an afternoon in the studio around microphones and recorded the entire set of 6 songs live! Only one song has some harmony vocal overdubs. Several of these songs will be enhanced and included on a full length album to be released later in 2014. Their sixth CD, “My Blue Garden” (2009), features some of their absolute best work to date. The album became a quick favorite of many folk DJs placing it at #2 on the charts with both the #1 and #3 songs for the month. It remains in regular rotation earning them yet another top 40 album this time in 2009. Seeded with fresh, beautifully crafted songwriting, “My Blue Garden” is a collage of soulful sketches rooted in small town USA, where familiar and accessible characters might be your next door neighbor, a member of the family or a close friend. Co-produced by Glenn Brown (Jeff Daniels, Rachael Davis, Steppin in it) this album features an essential cast of some of Michigan’s finest musicians most prominently, Jason Dennie, a regular addition to their live shows, on virtuoso mandolin and sweet harmony vocals. Drew Howard soars on pedal steel and dobro, and the angelic voices of Rachael Davis and Jan Krist are high points. 2007’s “In This Town” is Annie and Rod Capps’ fifth release and showcases Annie’s most compelling songwriting to date. 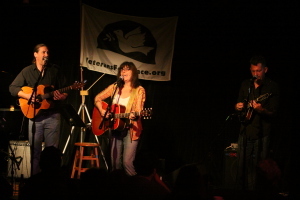 Folk DJs across the country and abroad added “In this Town” to their playlists placing it in the top 40 on the Folk Radio charts for 2007, with the title track reaching #3 (Aug ’07). It’s a cohesive collection of vignettes told from the perspective of both observer and actor before backdrops ranging from a friendly town cafe to an empty house; a dark bar to a front porch; a jail cell to the wide open road. The result is a melange of simple, evocative stories about familiar human emotions delivered with the appealing mixture of tenderness and sass that is signature Annie. Annie is a member of the Yellow Room Gang, a group of renowned singer/songwriters (www.yellowroomgang.com) who meet monthly to share food and new works in progress and perform together in various incarnations and venues. 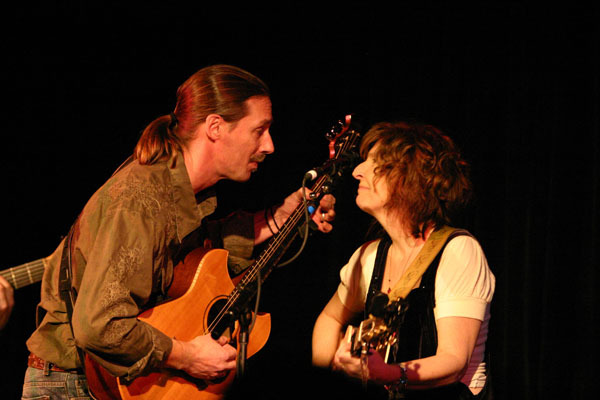 Annie and Rod have warmed up audiences for Lucy Kaplansky, Stacey Earle & Mark Stuart, Tracy Grammer, The Kennedys, David Bromberg, Joe Jencks, Mustard’s Retreat and many others. She is the founding member of Songwriter’s Anonymous, a networking collective of 60+ members of the local music community. When they aren’t busy making their own music, Annie and Rod are often called upon to play supporting roles for other artists. Both are featured on recordings by Allison Downey, The Milroys, Whit Hill, John Latini, Judy Insley, Dan Hazlett, Luti and many others. 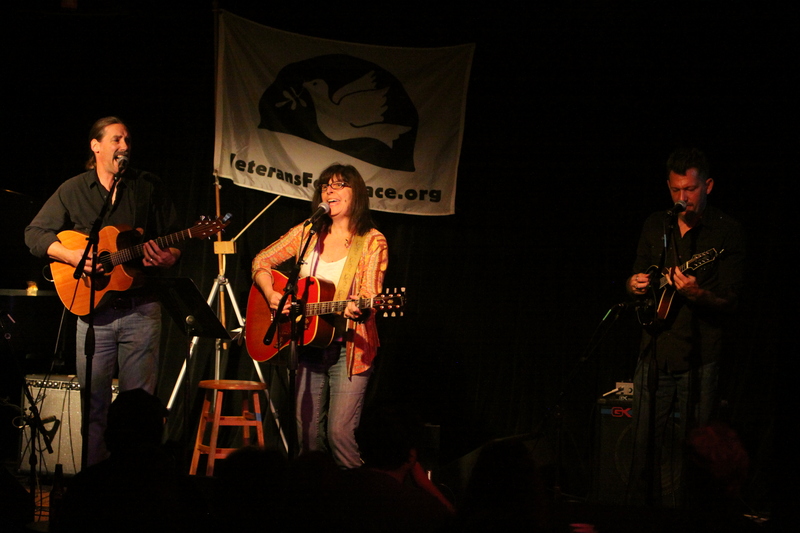 Festival performance credits include the Kerrville Folk Festival as a New Folk Finalist in 2012 & 2010 (Kerrville, TX), Great River Folk Festival (LaCrosse, WI), Kingsville Folk Festival, Ann Arbor Folk Festival, Wheatland Music Festival, Blissfest, Noreast’r Festival, Thumbfest, Arts, Beats and Eats, Ann Arbor Summer Festival, Riverfolk Festival and more. and many excellent acoustic music venues in California, Illinois, New York, Pennsylvania, Tennessee, Texas and Wisconsin…so far.